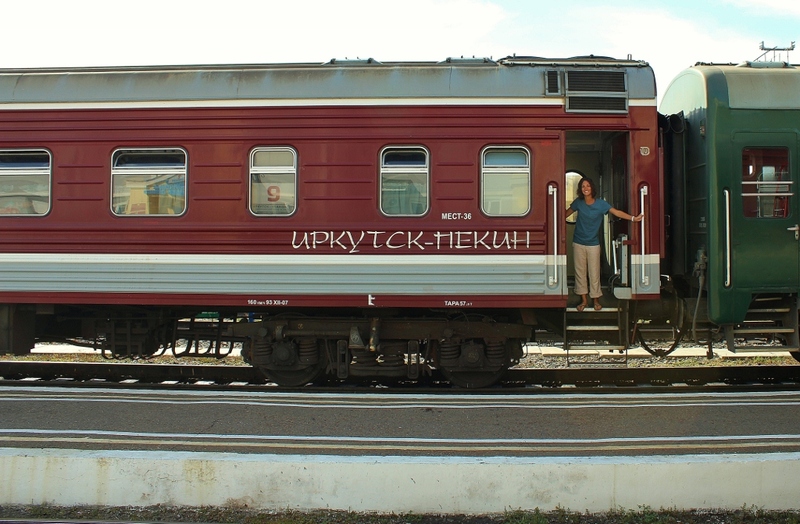 The train ride from Ulaanbaatar to Irkutsk, Russia is about 30 hours. Unfortunately 10+ of those hours are wasted on border crossings. We were rustled out of bed at 630am as we approached the Mongolian border. The Mongolian officials searched the train, our bags, and our persons while mean mugging and inspecting our passports. Then the train rolled several hundred yards down the track so the Russian border guards could do the same. The entire charade was repeated yet this time German shepherds and armed military personnel joined in on the fun. There was a lot of angry sounding yelling and instructions over the train’s loudspeakers. We were imprisoned in our train berth for the 1st 4 hours and endured the process with a slightly older Aussie couple. Despite numerous attempts at communication with others on board it became obvious that we were the only English speakers on the train (imagine that in a non-English speaking country). We had no idea when the train was scheduled to depart or what was going on. 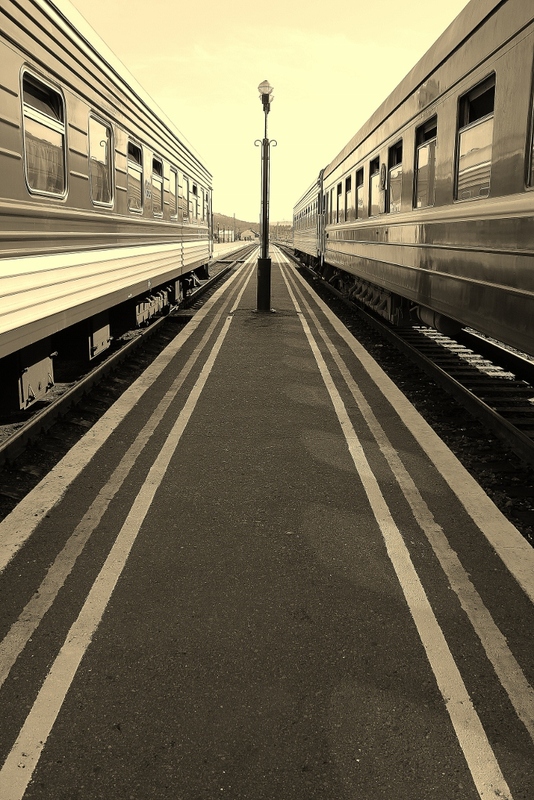 Our train carriage attendant was the stereotypical Russian woman. She looked like a female Ivan Drago with short red hair, a deep voice and a stern, stoic face that looked as if it had never smiled. We watched her dress down several passengers in Russian until each retreated like a tortoise into its shell. She used her limited English to dominate the Australian woman in our cabin to the point that the Aussie hid under the covers for 3 hours. While the kangaroo was hiding and Nug was sleeping (thank God or the Cold War would have restarted) this Russian gem came to our room with a basket of garbage packaged food. “Wood zu like? !” The Aussie guy and I looked up from our respective books and declined. She stayed put, “Zah… mah-bay…zyou don’t… oon-derstand….PICK ONE!” It sounded like a threat. We repeated that we were good. She exploded, “Zhis eeez ree-diculous! Zyou don’t buy… eez very BAD for zmee!” I tried to use my big kid voice when I repeated, “No, we don’t want…” There was silence as she glared at us and we all waited to see who would fold first. “Zhis is unbelievable! ZAmericans and ZAustralians hab no money is VERY bad,” she screamed and slammed the door as she stormed out. Dave looked at me and we burst out laughing. “If she was nice I would have bought the whole bloody lot,” he said, before continuing, “Either way I think we are the 1st ones here to win a battle with her.” Several hours later we started our 5000+ km journey towards Moscow. There are advantages that this was a once-in-a-lifetime experience. It was certainly an unforgettable experience! Someone else tried to take a pic of her and she grabbed the camera out of their hands and spiked it like a football…I was scared.